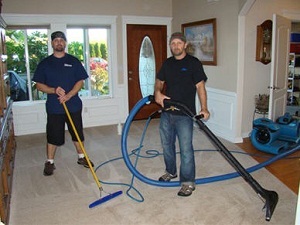 Guaranteed Cleaning Service, Inc. is known for offering quality carpet cleaning in South King County, WA since 1979. Our South King County expert carpet cleaners use advanced techniques, such as a steam cleaner, to proffer proficient carpet cleaning. Many South King County residents struggle with the hassle of carpet cleaning. As odor and stains set deep into your carpets,mere surface carpet cleaning is not enough to have clean carpets. This is when you need the help of experienced carpet cleaners as they are capable of providing precise carpet cleaning service in South King County. The success of carpet cleaning depends on the carpet cleaners you choose. 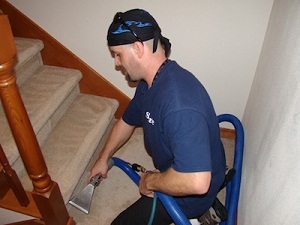 What you can expect from professional carpet cleaners is hard to receive from ordinary carpet cleaners. Thus, when you realize the need for carpet cleaning in South King County, seek experienced carpet cleaners. 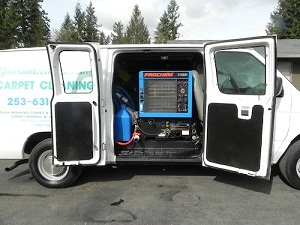 To provide successful service in South King County, we use a truck mounted steam cleaner system. South King County residents can rely on our steam cleaner service as it is affordable and effective. To choose Guaranteed Cleaning Service, Inc. as your carpet cleaners in South King County, call at 253-631-5448.